CPP Tops the Moose in Overtime! In a rare Friday night game, Central Penn played host to the Metro Fightin’ Moose at Regency Ice Rink. It was a very entertaining game, as well as physical and penalty laden: the teams combined for 37 penalties in all. The Moose jumped out to the led in the first with a short-handed goal 4:14 into play. Just over 4-minutes later, the Panthers drew even with a power-play goal from Collin Asmonga (99) from Truman Henne (98) and Cory Madison (’98). Just under 4-minutes later, the Moose got their first of 2 power-play goals on the night to regain the 1 goal lead — only to see that wiped away when CPP Captain Austen Zimmerman (99) scored (unassisted) to make the game 2:2. In the second it was more of the same, lots of physical play, the Moose again struck first with their second power-play goal of the game to regain the lead. With just 21-seconds left in the period Braden Rishell (99) tied the game at 3 with a beautiful short-handed tally (also unassisted). In the 3rd period it looked like the Moose had taken the lead with just under 4-minutes remaining, but the goal was disallowed. The two teams skated to a scoreless third and the game went to Overtime. 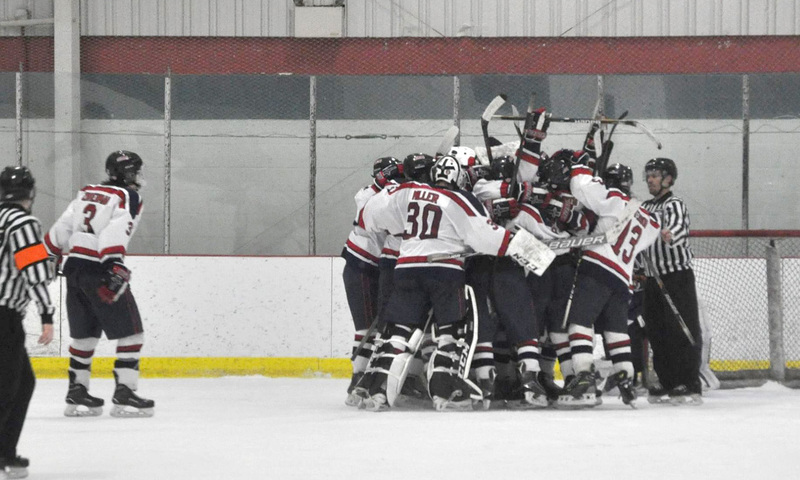 Just like most of the night, the teams exchanged a number of scoring opportunities until 3:20 into OT, when Marcos Zarragoitia (00), took a feed from Cory Madison in the slot and buried the game winner for the Panthers. Again, rookie goalie Danny Miller (’99) was very strong in the win making 37-saves, including 3 in OT.